It has been almost a year since I began working on this toy. Back then it was meant to be a submission to a local show about Russia but unfortunately I never made it. After the show I had to shift my priorities towards my graduation project and ever since I have been looking at a couple of blank resin casts that were demanding a paint job. Finally I found the time to paint of these little buggers and I am quite happy with the result. 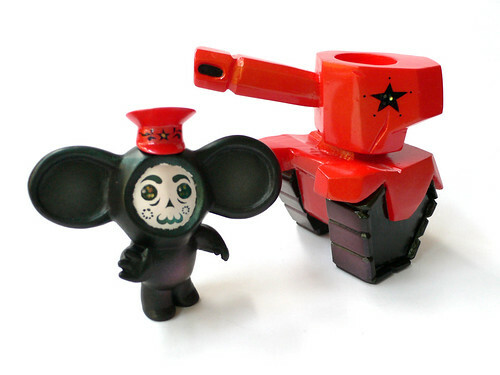 This resin toy is about 13 cm in height and it comes in four parts. The only point of articulation is the turret of tank which can turn 360 degrees. Like all my recent toys this has been painted with special automotive effect paints. However, the details on the figure and the tank have been added with ink. 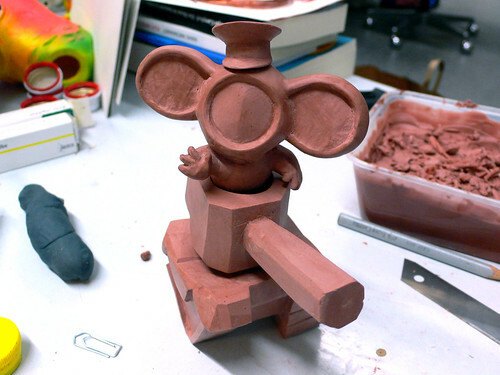 Here is another shot from the time when I was working on the sculpt.